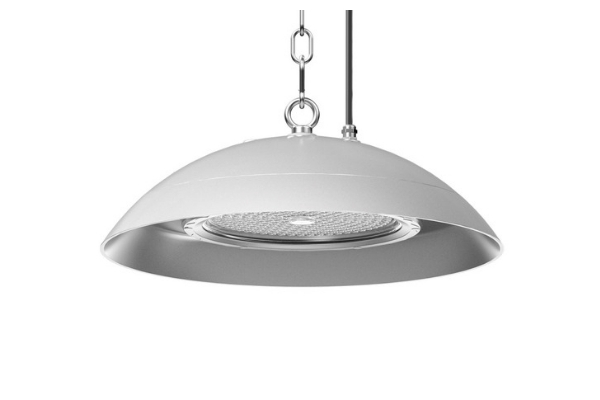 The LED highbay is specially design for food processing applications. The lamp body is arched perfectly which makes not only asthetic but also dust-proof and easy to clean. At the basis of highly efficient heat dissipation solution, our design concept is “unibody” , which lead the way in Bay lights. NSF certificate approved, used in a food processing plant. The product have an anti impact grade of IK10. The screw are hidden to prevent dust and moisture. Covered by high transmittance PC instead of glass, to prevent debris falling to enhance the food safety.